1. Riding a bike. Okay, I couldn’t resist the cliché, but it is applicable to the LSAT in an essential way: once you learn logic, you aren’t going to forget it. You’ll be calling your husband out on his illegal reversals when he’s 85, and he’ll still be irritated, and—if he hasn’t ever learned conditional logic himself—confused, and tell you to stop. 2. Doing dishes. You approach the sink, where they’re stacked high. You hate your life for a moment, facing down this mountain of greasy ceramic. If you’re really unlucky, someone has already dumped a full plate of leftovers into the drain, and there is no disposal. But you get started, and the water is warm, and you find yourself humming because you’ve gotten into a rhythm. Suddenly, you’re done, and it wasn’t nearly as bad as you thought. Getting into the LSAT zone can be like this. In fact, the more you let it consume your full attention, the more it will be…and the better your studying will be. 3. A very mature break up. The elusive “good break up” may be impossible, but a mature break up, as in one that is rational, reasonably polite, and over quickly is not. What’s an immature one? Screaming, yelling, kicking, crying, maybe a dash of lying. 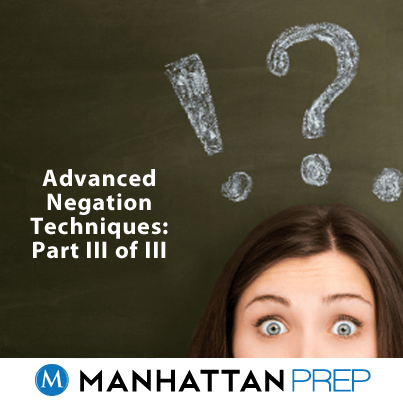 The LSAT is like handling an unwanted situation with composure and rational thinking. It’s about maintaining your intellect when what you want to do is tear it in half. Don’t. Be calm and LSAT on. 4. Talking to your best friend’s boyfriend. Talking to him is more one-way than talking to Siri. He is a mute. He likes terrible music, hates his job, and is gluten intolerant so he can’t even eat anything delicious. But you love your best friend, and she loves him, and so: you must find common ground. You set aside your dislike, put on a smile, and find yet another new line of inquiry where all others have failed. 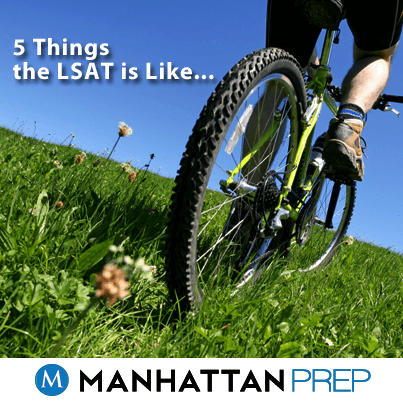 Getting stumped on the LSAT isn’t so different—don’t panic. Look for a new way of thinking about the question, and if it’s still not working, leave it and come back only if you have time. It’s her boyfriend anyway, not yours. He’ll survive a few minutes alone. 5. Watching your favorite show. You’ve been an avid fan for four seasons, and you’re happily buried under a blanket and a tub of General Tso’s Chicken, watching your forty-fifth episode, when your favorite character does something so, so out of character, you have to press pause to gain your composure, i.e. g-chat anyone with a green dot. It’s blasphemy! FREDDY WOULD NEVER! You speculate about whether the writers were high, or new, or if they all had a stroke at the same time, and then you resume watching with half as much zeal. You’ve caught an error because you are an expert. 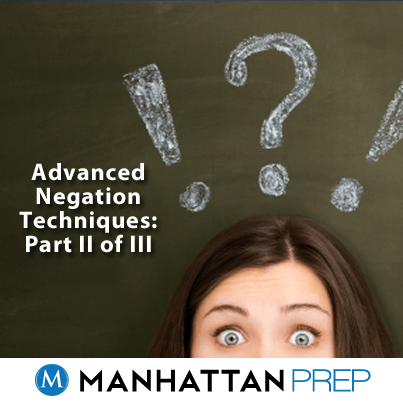 Become an expert at the LSAT, and you’ll begin to see the logical gaps in the same way (but maybe with less excitement…or more!). Looking to take the LSAT soon? Visit our LSAT practice test center to discover free tools and resources to help you study smarter — including a free sample LSAT practice test! Have fun! //ow.ly/oOEuY.